The men luxury streetwear staple is a premium brand which is represented in its price, but we’re not talking over £100 for a plain white t-shirt (like some of the fore mentioned brands). Societe Noir offers a culture where a mens twin set can be worn to a smart casual manner, and their collection provides more than a just generic top with their label on, which has caught the attention of some well know icons. Pierre-Emerick Aubameyang, the Arsenal striker in the premier league, has recently been seen wearing one of Societe Noir’s red mesh trucker hats before their clash with Chelsea football club. Naturally, this shows the brand luxury finish is even appealing to one of the wealthiest footballers in the UK. The other icon recently spotted is Dillian Whyte, the British heavyweight boxer has shown his support toward the brand being seen in both a tee and cap combo. The charismatic fighter is known for his sharp dress sense, and his recent bouts with Anthony Joshua and Dereck Chisora have made him a well-known man of the streets of the UK. Mennace is a designer label that caters for every style a guy can think of. The designer offers shirts, jeans and a complete array of streetwear clothing. Mennace has managed to dress every guy in this year’s Love Island villa in 2018, and its oversized boxy style has become an appealing choice in the UK and is easily spotted with its scribble signature logo. 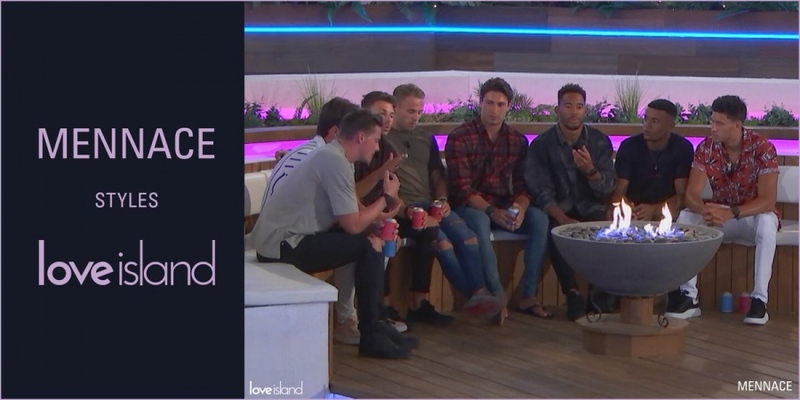 The Brand also crosses over into a workwear style with its jackets, and it seems that the brand has taken a liking from the majority of the men in the villa, as most of them have been spotted still wearing the Mennace brand. These two brands are at different price brackets and will cater for everyone’s take on the current trend, streetwear. There are plenty of brands out there, and from browsing Instagram and checking out what current influencers are wearing, you might be able to find some alternative brands and start to wear them before they hit the mainstream.